Enhance the overall appearance of your Volvo S60/V60 by installing our custom made and stylish Carbon Fiber or FRP Front Lip Spoiler. These lips are constructed of the highest quality Grade A 2x2 twill real Carbon Fiber (CF) or Fiberglass Reinforced Polyester (FRP) material to contribute to the sleek yet aggressive look of this lip. If you want to improve the appearance of your front bumper in an aggressive yet subtle manner, this front lip is for you. There are two different style lips available. Incorporated into the front of this lip is a center splitter/diffuser for added aesthetic properties. This lip features a 1-piece design that confirms to the lower bumper. 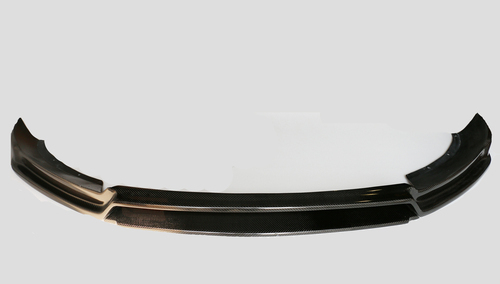 Please note: Our Carbon Fiber and FRP products are custom made to order, one item at a time. As a result, each part will require up to 8 weeks lead time to manufacture and to fulfill your order.